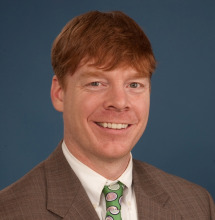 Dr. William P. Meehan, III, Director of the Sports Concussion Clinic at Boston Children's Hospital. discusses return to play after a sports-related concussion, including successful completion of a graduated exercise protocol, consideration of all clinical factors, including the results of computerized neurocognitive tests, the age of the athlete, and the level of play. William P. Meehan, III, MD, Director of the Sports Concussion Clinic at Boston Children's Hospital, recommends both baseline balance and computerized neurocognitive testing for athletes playing sports with high concussion risk, but two 2012 studies suggest that comparing a concussed athlete's scores on post-concussion neurocognitive tests to those of athletes of the same age and gender is sufficient for purposes of concussion management and return-to-play decision-making. The response to a head or neck injury in sports depends on the severity at the moment. More serious injuries should be ruled out before assessing an athlete for concussion, says Dr. William P. Meehan, III, MD, Director of the Sports Concussion Clinic at Boston Children's Hospital. William P. Meehan, III, M.D., Director of the Sports Concussion Clinic and the Micheli Center for Sports Injury Prevention in the Division of Sports Medicine at Children's Hospital Boston, discusses the many factors an athlete and his or her family should consider in deciding whether to retire from contact or collision sports after multiple concussions. 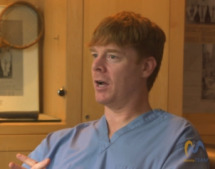 William P. Meehan, III, M.D., Director of the Sports Concussion Clinic and the Micheli Center for Sports Injury Prevention in the Division of Sports Medicine at Children's Hospital Boston, explains how today's cheerleaders have a higher risk of concussions during practice, which is unusual, and recommends that athletes engaged in competitive cheer undergo baseline neurocognitive testing every year. William P. Meehan, III, M.D., Director of the Sports Concussion Clinic and the Micheli Center for Sports Injury Prevention in the Division of Sports Medicine at Children's Hospital Boston, discusses three ways for an athlete to reduce the risk of concussion: cervical neck strengthening, playing with their head up, and being in good, general physical condition. 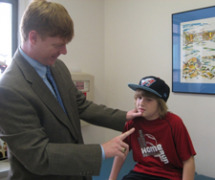 As soon as an athlete is symptom free, he can start the step by step process towards a return to full game play, says Dr. William P. Meehan, III, starting with light aerobic exercise, and, if concussion symptoms don't recur, to more rigorous aerobic exercise, non-contact practice, full-contact practices, and eventually game play.